BOSTON (TheStreet) — Wall Street has been abuzz with the new stock positions of top hedge-fund managers, which include Citigroup(C_) and even Sirius XM(SIRI_). Although the Dow and S&P 500 stocks they purchased in the fourth quarter are now known, many small-cap picks have gone unnoticed. Here’s a look at five small-cap bets recently initiated or expanded by hedge funds. 5. 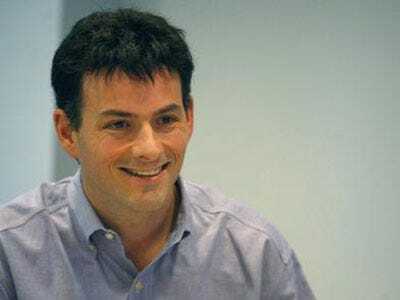 David Einhorn, who runs long/short Greenlight Capital, started a modest 100,000-share position in Capitol Federal Financial(CFFN_) during the fourth quarter. Capitol Federal is a savings-and-loan bank holding company, whose subsidiaries provide residential, construction and consumer lending. It’s the largest residential lender in Kansas. Capitol Federal’s stock has fallen sharply during the past 12 months, but pays an attractive 22 cent quarterly dividend, converting to an annual yield of 7.6%. Still, the dividend has fallen 3.1%, annually, over five years. Capitol Federal, which recently changed its ticker, announced a 60-cent welcome dividend, equal to a 5.1% yield on its share price, payable on March 25 to shareholders of record on March 11. Capitol Federal’s adjusted fiscal first-quarter earnings dropped 30% to nine cents, missing analysts’ consensus target by 17%. Its adjusted top-line figure, at roughly $100 million, beat consensus. Capitol swung to a GAAP net loss of $11 million, or seven cents a share, from a profit of $21 million, or 13 cents, a year earlier. Its gross margin remained steady at 49%, but its operating margin contracted from 35% to 33%. The cash balance multiplied twelvefold to $1.3 billion. 4. Activist investor Carl Icahn, founder of Icahn Capital, held a concentrated equity portfolio of only 23 stocks at fourth-quarter’s end. Icahn added one new position, Navistar International(NAV_), to his portfolio, purchasing 9,326 shares. Navistar makes commercial trucks, buses, diesel engines, military vehicles and chassis. Navistar’s adjusted fiscal fourth-quarter earnings fell 66% to 61 cents, beating analysts’ consensus estimate by 3.7%. Revenue, at $3.4 billion, exceeded the consensus by 3.9%. Navistar’s quarterly gross margin narrowed from 23% to 20% and its operating margin contracted from 6.2% to 4.3%. The cash balance declined modestly to $1.2 billion, converting to a quick ratio of 1.1, and total debt decreased by 10% to $4.9 billion. However, Navistar is running a shareholders’ deficit of $973 million. Still, that figure has decreased 46% in 12 months. During the latest quarter, performance was hampered by ratification of a new United Auto Workers contract, which entailed $10 million of one-time separation and layoff costs, but which should assist Navistar in achieving a cost-effective operating structure going forward. The trucking segment’s sales multiplied from $5 million to $86 million, an encouraging sign since the trucking market has been in a three-year trough, according to management. The company also booked sizable orders in its military segment for vehicles. Navistar, which has a market value of $4.7 billion, is a cyclically-dependent company. It has a beta value of 1.2, tending to magnify market movements. Of analysts covering Navistar, 12, or 67%, advocate purchasing its stock, four say to hold and two recommend selling it. The stock has a median target of $72.60. 3. John Paulson, of Paulson & Co., added nearly 2.2 million shares of Howard Hughes(HHC_) during the fourth quarter. Howard Hughes is now a standalone preeminent developer and operator of a diversified portfolio of master planned communities and long-term mixed-use properties. It was spun off from General Growth Properties(GGP_) in November. Its largest investor is Pershing Square Capital Management, a hedge fund run by Bill Ackman, who is now chairman of the board at Howard Hughes. Whitney Tilson, of T2 Partners, and John Griffin, of Blue Ridge Capital, also have stakes. Paulson sold his stake in General Growth in the fourth quarter. Howard Hughes’s stock has advanced 47% since it listed on the New York Stock Exchange, in large measure due to the closely watched Ackman’s endorsement. Howard Hughes currently owns 34 assets, including master planned communities, operating properties, development opportunities and other unique assets in 18 states. It has over 14,000 acres of land remaining to be sold. Brand-name properties include Summerlin in Las Vegas, Bridgeland and The Woodlands in Houston and Emerson in Maryland. No banks have initiated coverage of Howard Hughes’ equity. 2. David Tepper, who runs Appaloosa Management, bought more than 3 million shares of Flagstar Bancorp(FBC ) during the fourth quarter, becoming its 11th largest shareholder. Flagstar is a holding company, with thrift and mortgage finance subsidiaries operating in Michigan, Indiana and Georgia. Its stock has dropped 33% in the past six months, to less than $2 a share. It fell more than 4% yesterday as the equity market slumped. Flagstar’s fourth-quarter net loss more than doubled to $187 million, but it narrowed on a per-share basis to 74 cents, due to dilution. Revenue declined 9.3%. The adjusted loss missed analysts’ consensus estimate, for a loss of six cents, by a wide margin. The top-line figure, up 7.3% to $191 million, exceeded the consensus by 4.6%. Based on projected earnings and sales per share, Flagstar is cheap. Its forward earnings multiple of 11 and sales multiple of 1 reflect 61% and 70% discounts to financial peer averages. No analysts recommend buying Flagstar, but all 12 of its largest investors amplified their stakes in the fourth quarter. Greenlight Capital is another shareholder. The stock sells for a forward P/E of 12 and a sales multiple of 1.1, 60% and 67% industry discounts. 1. Lee Ainslie, of Maverick Capital, modestly expanded his stake in Longtop Financial Technologies(LFT ) in the fourth quarter, bringing his position to 3.9 million shares, or 6.9% of the float. Longtop Financial designs and sells software and information services to financial institutions in China. An ADR, or American Depository Receipt, Longtop has dropped 22% in the past three months as many Chinese ADRs have been criticised by U.S. investors for fraudulent accounting practices and Chinese inflation became a concern. Longtop’s fiscal third-quarter net income increased 15% to $30 million, but earnings per share advanced just 10% to 51 cents, restrained by a higher share count. Revenue grew 41% to $77 million. The gross margin narrowed from 73% to 70% and the operating margin contracted from 47% to 45%. This post originally appeared at TheStreet.